Philadelphia’s best Party Bus Rental company. 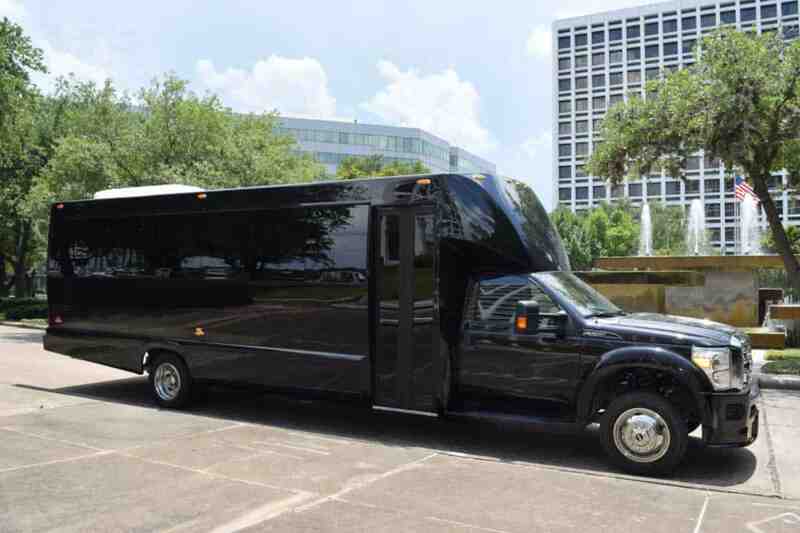 Whether you are celebrating a birthday, wedding, or just a night out, we have the perfect Party Bus Rental for your group. Give us a call at 610-222-6225 to book your Party Bus today! Prices are based on a 4-hour minimum booking time at weekday rates with full vehicle occupancy. 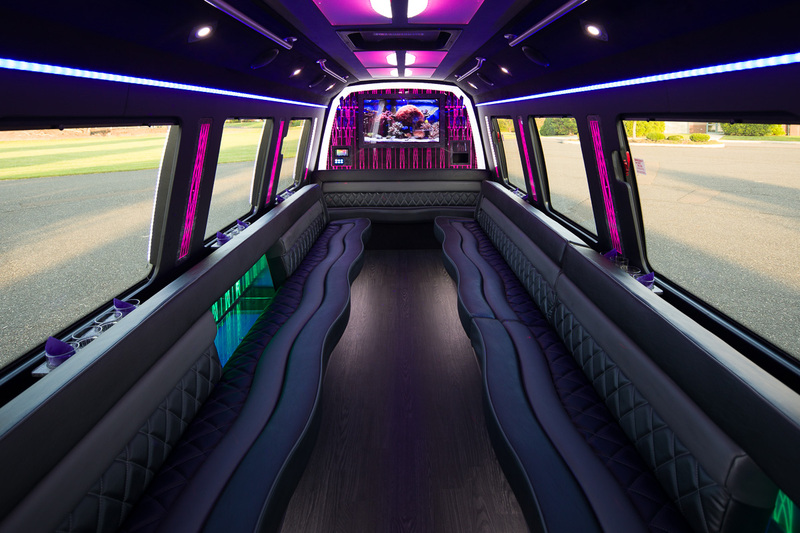 When booking Party Bus transportation for you and your group, enjoy the benefits of greater ceiling height and walk on-off access. 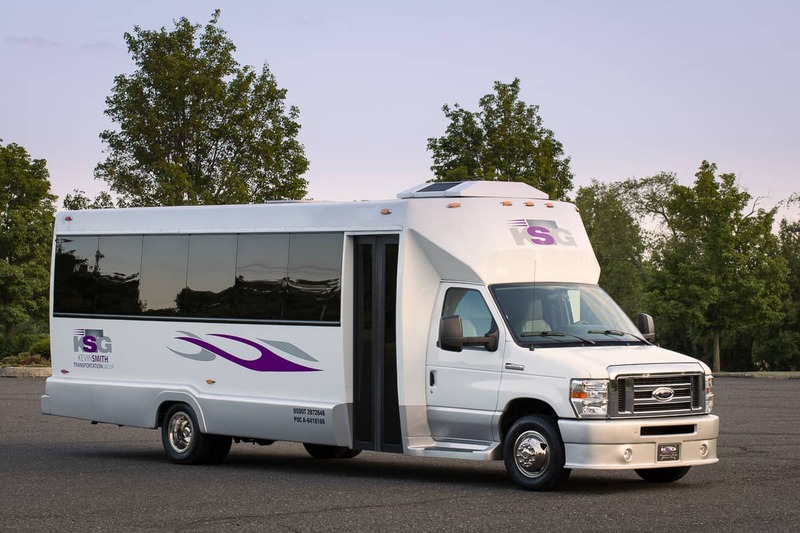 With wrap around bench seating and access to a bar that can be fully stocked, Party Bus rentals with KSTG will provide your group greater relaxation and the freedom to move around. 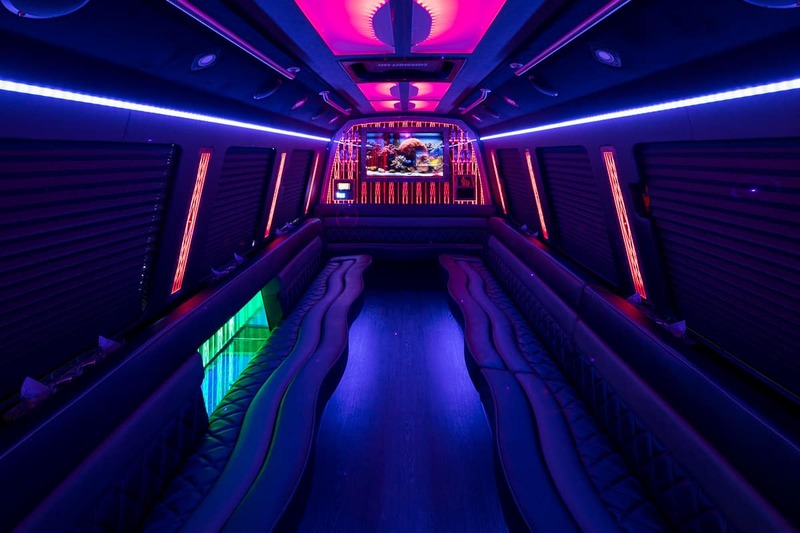 Add in a few flat screen TVs, Bluetooth audio, surround sound and fiber-optic lighting and your Party Bus rental will become a rolling stage for hours of fun. No group is too small or too big to take advantage of the variety of options within the fleet and within the vehicles themselves. 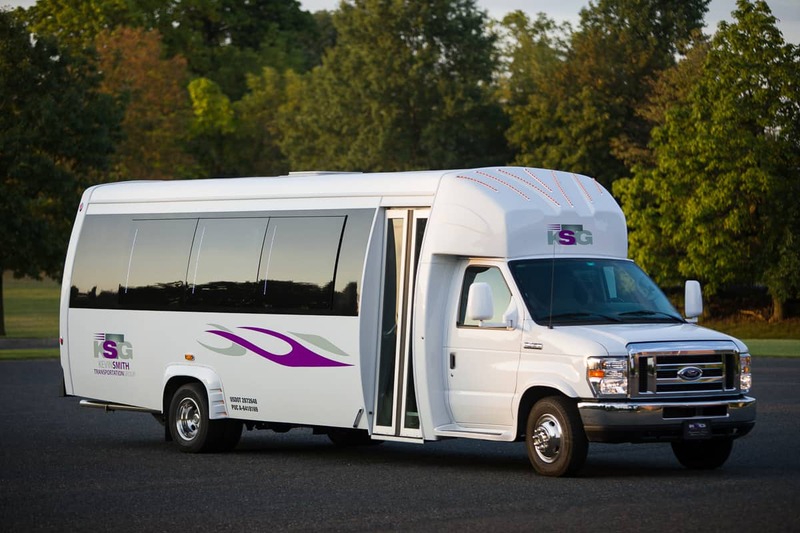 Headed from Bucks County, PA to Manhattan for a friend’s 40th birthday, consider a Party Bus rental from KSTG. 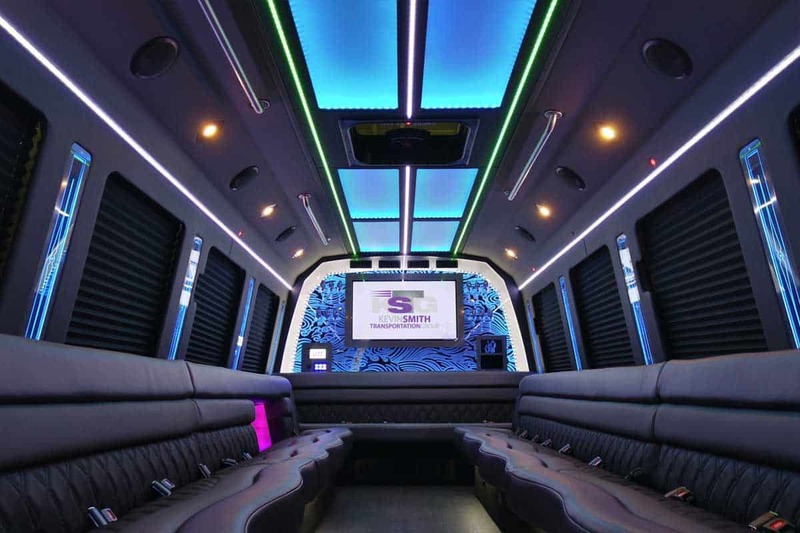 Planning your daughter’s 13th birthday that includes moving 24 teenagers from Montgomery County, PA to downtown Philadelphia, PA, or Delaware County, PA a 28 passenger Party Bus rental will be the perfect vehicle for your party. 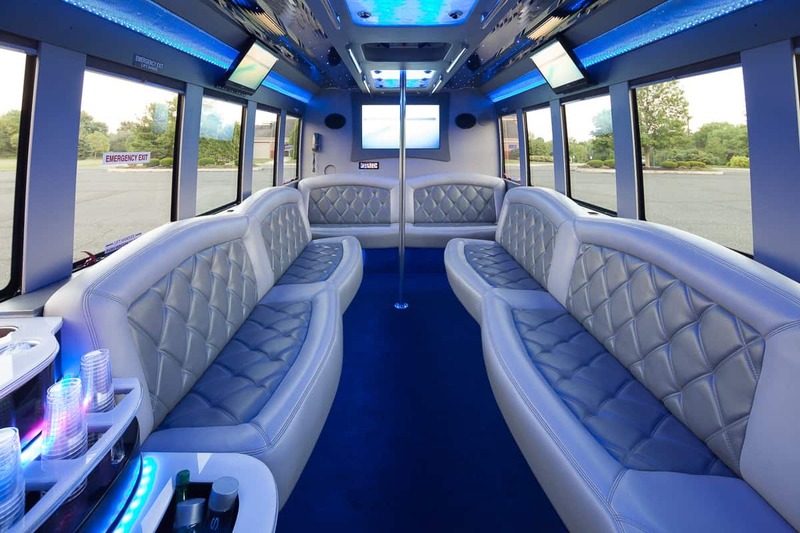 From concerts at the Wells Fargo Center to bar crawls in Center City Philadelphia to wedding transportation or just a night on the town, an affordable Party Bus Rental from Kevin Smith Transportation Group will deliver you on time and in style. Luxury doesn’t need to be sacrificed for budget. With coverage across the entire Philadelphia, PA area, KSTG will make any destination something special. Not all parties have the same need. 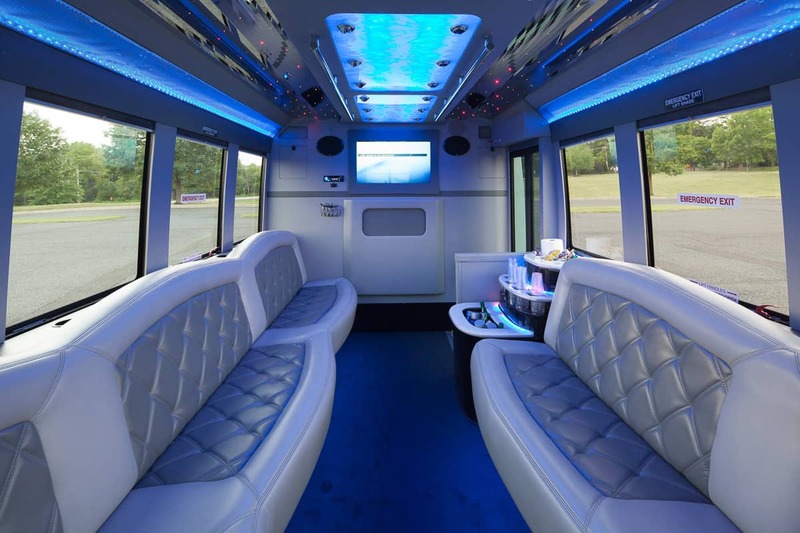 From bar hopping through Doylestown, PA to planning a group dinner in Philadelphia, your requirements may include 8 straight hours of a Party Bus rental in Philadelphia, Pa versus a drop-off and return 5 hours later. By speaking with a KSTG Concierge, we will help you design the right vehicle and cost package for your entertainment and your budget. 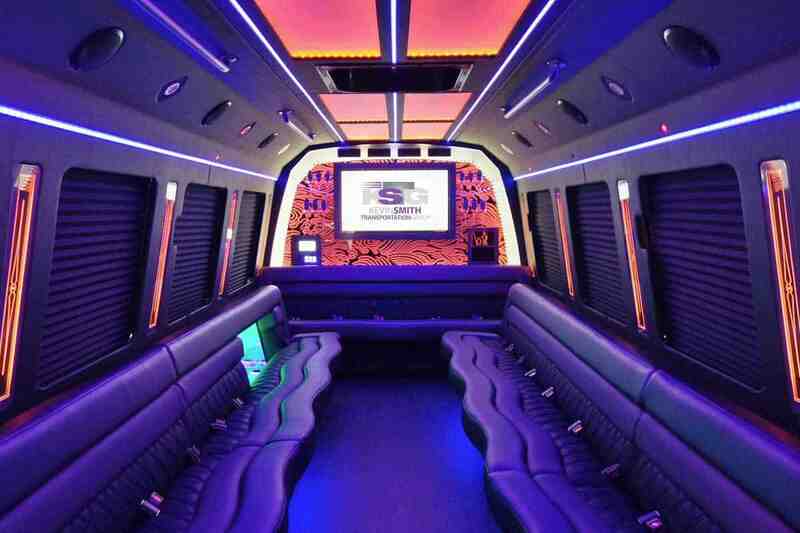 Looking for special features in Party Bus rentals in Philadelphia? Want to include specific snacks or beverages? Maybe you have a color design for a bachelorette party you want to decorate with? Whatever your preferences might be, a KSTG Transportation Concierge will work side by side with you ensuring your night is as magical as it can be. Do you have questions before you book? We’ll try to answer as many as we can for you. Do you provide alcohol on the party buses? No. Due to state licensing regulations, we are not allowed to provide alcohol. However, you are free to bring whatever alcohol you’d like. Are there any other "hidden fees" that I will have to pay? Nope! Every price that you receive from us will include all fees as well as driver gratuity built in. Can I hook my phone up to play music? Absolutely! All of our buses come Bluetooth equipped, along with standard AUX connections as well. All payments are made prior to your pickup via credit card so there is no need to exchange money with your driver. Review data taken from Google as of 10/04/18. Top 20 Philadelphia Limousine Companies based off of review numbers. Top 20 National Limousine Companies based off of LCT 2016 Largest Fleets. For a custom quote or information about booking for a specific date, please fill out the contact form and be as detailed as possible.